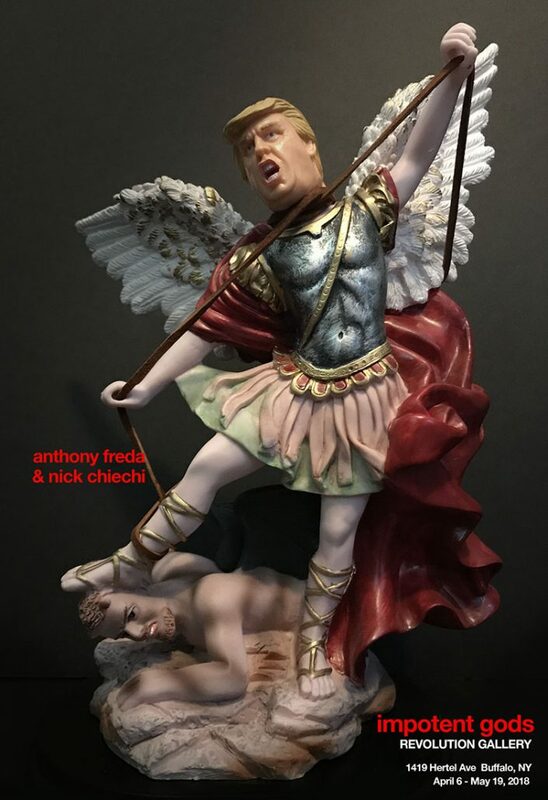 On Friday, April 6, Revolution Gallery will host “Impotent Gods”, a two person show by Anthony Freda and Nick Chiechi. The show demonstrates the true meaning of collaboration, as artist Anthony Freda was looking for a way to convert his 2D works into works of a 3D nature. He managed to do this by teaming up with fellow artist Nick Chiech, who helped Freda with the technical aspect of constructing 3D archival assemblages and sculptures.